Following my review of the eZee Beads 3D Mini Scenes craft kit, I am pleased to announce I have a set plus the new Refill Pack to give away here on the blog! We have been trying out the 3D Mini Scenes kit and really enjoyed it. 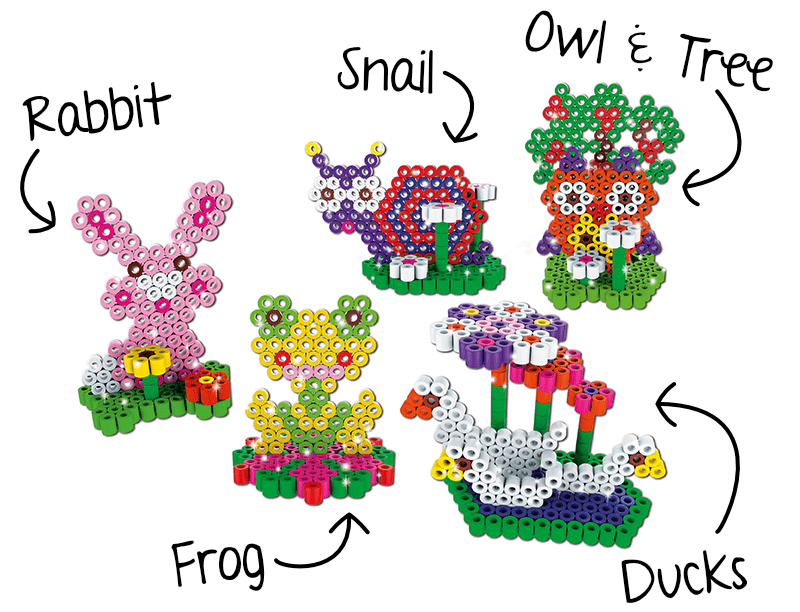 The kit includes everything you need to make an owl & tree, ducks, rabbit, frog, and snail. The Refill Pack is new to the eZee Beads range this year and is available from the John Adams website for just £7.99 and free delivery. I think that is great value for 640 beads! I’ll definitely be buying one of the refill packs when the girls finish making all the 3D scenes from their kit. I think a second kit needs to be on my shopping list too as having a second tray to be able to do one each at the same time would be perfect for our two girls. 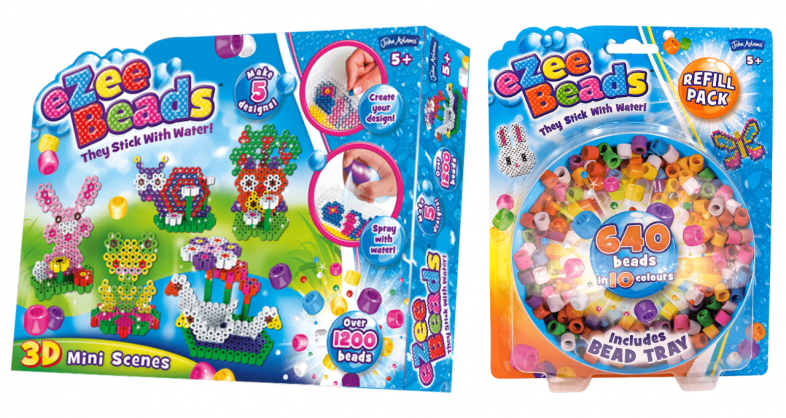 The eZee Beads 3D Mini Scenes set lets you create charming 3D scenes using just beads and water – no ironing required! Comes with 4 pretty design cards to make, as well as some handy storage for your eZee Beads. To enter this giveaway, simply comment on this blog post telling me which of the five 3D designs is your favourite, and record your entry in the rafflecopter widget below. This giveaway closes midnight 18/03/18. UK entrants only. There will be one winner, receiving an eZee Beads 3D Mini Scenes & a Refill Pack. If you can’t see the Rafflecopter Widget, try refreshing the page. The ducks are fabulous! Thanks for the chance to win!